You’d be surprised how many people don’t do this. If you’re going to be online, you need to be traceable (as in, people need to be able to find out who you are). Nobody is going to buy from a mystery seller who could be out here doing shady deals and makes themselves hard to find. 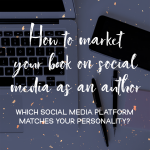 Make it professional— make sure you link back to your website, your Twitter, your Facebook, and make sure it’s all interlinked, so people don’t have to go searching to find out if you’re who you say you are. Carrying on from my previous point, you need to establish an online presence. Everyone who has a product has a website (or at a minimum, a Facebook page). Even podcasts have a website. If you don’t have a website, you don’t have a professional place where people can come and verify who you are and what you do. Social media is what you use to interact and engage with humans online— similar to a virtual avatar— but all that does is create a presence. You need the website to go with it. 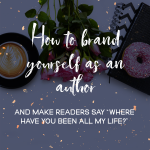 In this post, I talk about why having an online presence is important, and how you can get started creating one as an author. Having a strategy is very important, and if you don’t have this, you’re basically stumbling around in the dark and relying on luck. In my experience, luck is of the rare variety, so it pays to have a plan of action. 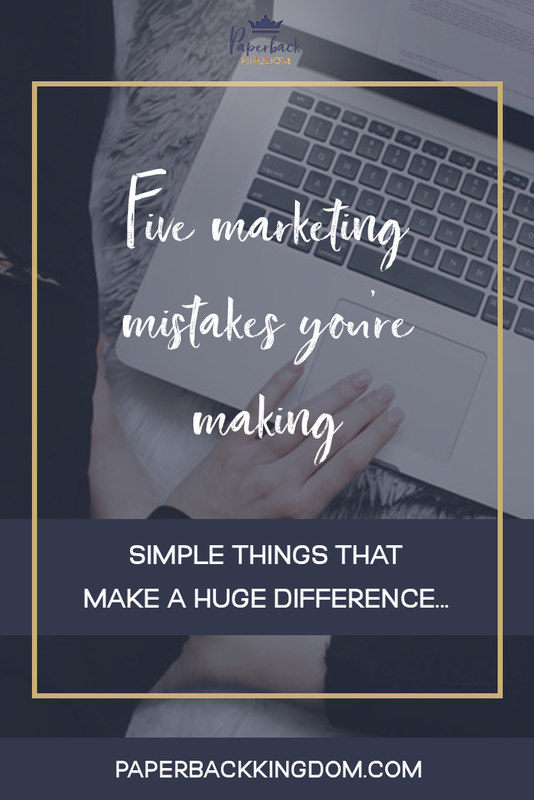 I could talk your ear off all day about a number of things— my favourite teas and Crazy Ex Girlfriend being high up on that list— but if there’s one thing I’m especially great at chatting about, it’s book marketing strategies. In this post, I explain why you need a book promotion strategy. 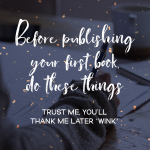 Building trust is the most important thing you can do to start selling books. Do you think people who create products just put them up for sale, let people know it’s up, and the sales just start rolling in? No. It most certainly does not work like that. The successful people who create and sell products are out here every single day communicating and engaging with their audience. They’re listening to their requests, giving them what they want, and building a relationship with them. And as an author and bookseller, that’s exactly what you need to be doing too. I talked a whole lot more about building trust with readers in this post. I set goals every single day. I create lists with steps to achieve my goals. It’s what keeps me sane and on track. Without goals, I have no direction, and no plan. If you aren’t setting goals, you are losing sales, because you don’t have a focus on what you’re trying to achieve. It’s like fumbling around in the dark all over again. So take some time to ask yourself what you really want to be getting out of your publishing experience, and don’t be afraid to aim big.